1) What springs to mind when you hear the term ‘sustainable development’? 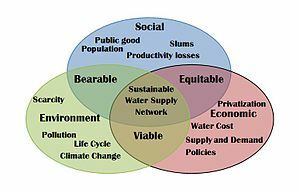 2) What is sustainable development? 3) In which countries is sustainable development most important? 4) How is sustainable development linked to standard of living? 5) What is your country’s policy on sustainable development? 6) What organizations think that sustainable development is important? 7) How often do you hear or read about sustainable development in the news? 8) What happens if countries ignore issues related to sustainable development? 9) Do you know of any sustainable development projects that have worked? 10) Is sustainable development more important for the developed or developing world? 1) Is sustainable development possible in today’s world in which people are becoming richer and consuming more of the Earth’s natural resources? 2) Is sustainable development real or is it just theory and a topic for inter-governmental meetings? 3) Would you be able to sustain yourself? 4) How important is sustainable development in relation to issues like climate change, poverty, terrorism, etc? 5) What problems does a lack of sustainable development lead to? 6) What roles do countries like the USA, China, Russia and India have in sustainable development? 7) How can there be sustainable development when the world’s population is moving from the countryside into cities? 8) What questions about sustainable development would you like answered? 9) Do you think sustainable development is an interesting an important topic? 10) Do you think people will be talking about sustainable development 50 years from now? Ranking the Rich based on Commitment to Development Private donations and philanthropy Are numbers the only issue? 1) What springs to mind when you hear the word ‘surgery’? 2) Do you use the British word ‘operation’ or the American word ‘surgery’? Does it matter which one you use? 3) Have you ever had surgery / an operation? 4) How would you feel if you needed surgery? 5) Would you ever consider having cosmetic surgery? 6) What’s the difference between cosmetic surgery, plastic surgery and reconstructive surgery? 7) How do you think keyhole surgery will change medical procedures in the future? 8) Do you think today’s technology means heart surgery is no problem or would you still worry if you needed a heart op? 9) If you underwent surgery, what preparations would you make in the few days before? 10) What springs to mind when you hear the word ‘surgery’? 1) Would you like to be a surgeon? 2) What do you think of surgeons? 3) What do you know about laser surgery? 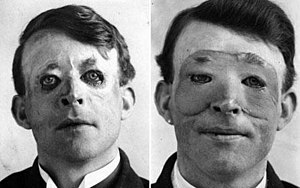 4) How have surgical techniques changed over the past century? 5) Would you consider having surgery in another country? 6) If you had surgery, would you prefer to be awake or asleep? 7) Which body part would you hate to have surgery on? 8) Would you sue the hospital if your surgery went wrong? 9) Would you like to watch a video of an operation on your body? 10) What do you think surgery will be like in the future? I need to decide what I think about it, but I can´t . I see both excellent and terrible results of the plastic on the moviestars and celebrities, so I can make the conclusion that no matter how expensive the services are, and how famous a surgeon is – there is always a risk to spoil your appearance irrevocably. So, no no no. Never. In Colombia there are great plastic surgeons who perform daily operations to improve the physical appearance of both men and women. Its cost is relatively low, and very satisfactory results for those who want to look better and increase their self-esteem. Due to a pregency that ripped my skin in one day from fluid (a ten pound gain in that one day) I have tons of loose skin and stretch marks –I look like a wild animal got a hold of me and ripped my skin apart. My Dr. suggested strongly that I have plastic surgery as all the muscles in my stomach area are frayed like a rope. As the years have passed my muscles have become even weaker and Drs. have told me that no amount of exercise will repair them. I have a lot of back trouble and pain partially due to the extra weight of skin hanging on my stomach. The embarrasment of people asking if I’m pregnant, and absolutelly not being able to buy any clothes to fit me is horrible. My breast are small making it even worse. Even though I also have other medical problems which cause me to not be as active as I previously was (fibromylgia and arthritis) I would like to feel like other women and be able to enjoy my body and not be embarrassed by it. Second on my list would be to have my breast enhanced and lifted. I am grateful to have a body that is alive and in somewhat working order but this would be my dream to feel like a normal woman must feel about her body. I’m sorry about such a long and personal answer, but thanks for letting me answer with my true feelings. The movie feels like a long version of The Wonder Years as we follow a teenage boy in the ’60s discovering the great mysteries of life in a coming-of-age movie. He is given an assignment by his teacher that involves him working with an unpopular student. In addition to having to worry about his cooties status by dealing with the unpopular group of students, he also has to deal with a bully, a father that doesn’t communicate too well, and his first crush. While all that is going on in his life, his teacher’s career is threatened by a rumor that Randy Orton‘s character threatens to go public with.